What is better than this? : Lets get ready to ruuuuuuummmmbbllllleeee! 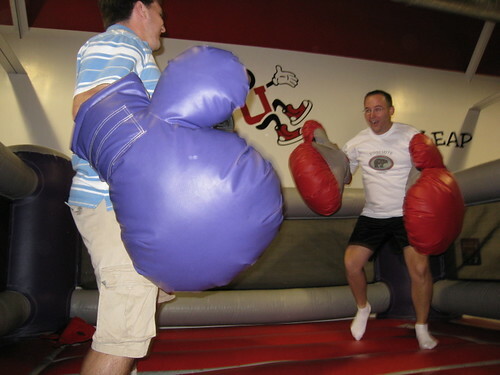 Me and Walt at Paige's party at Bounce U.
those boxing gloves are actually normal size, they just shrunk me and Walter.